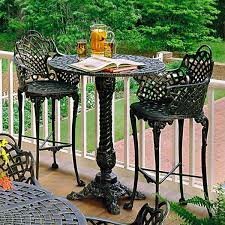 View cart “Basket Weave Bar Height Bistro Set” has been added to your cart. The Ice Cream Chair are sold as singles. They are made of steel both bent and stamped. 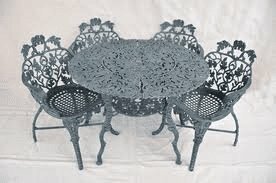 This listing is for one table height Ice Cream Chair if you need multiples, please specify the quantity. If you are using them outdoors we suggest you prime and paint them. These items are too large to ship using UPS. Please call and we would be happy to give you a freight quote. Ricca’s Architectural Sales has a lot of items from demolition in our inventory that we restore and preserve for future uses in both residential and commercial designs. We have lots of antiques and salvaged items such as knobs, locks, hinges, stained glass, ironwork, shutters, mantels, and doors. We have items that are hard to find, that are essential to completing a project. We are the best place to come to find that special moulding, chandelier, or even small parts. 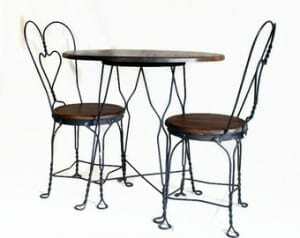 If you are looking for something unique that will not only preserve and re-purpose salvaged parts, stop by Ricca’s Architectural Sales and find the perfect addition to your home or business.